On this day (26th May) 107 AD, Trajan celebrates a triumph for his victories over the Dacians. The celebrations lasted 123 days and entertained the populace with a vast display of gladiators and animals. In Rome, Apollodorus of Damascus designed and built in the huge forum a sculpted column depicting the history of both Dacian wars. The structure is precisely 100 Roman feet high (35 meters high including the pedestal). The 190-metre (625 ft) frieze winds around the shaft 23 times. Inside the shaft, a spiral staircase of 185 stairs provides access to a viewing platform at the top. 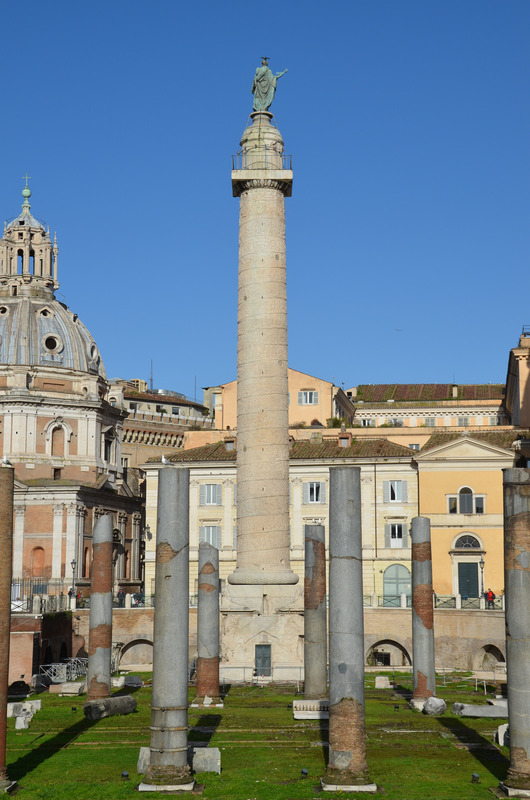 Further pictures of the Column of Trajan can be viewed from my image collection on Flickr.